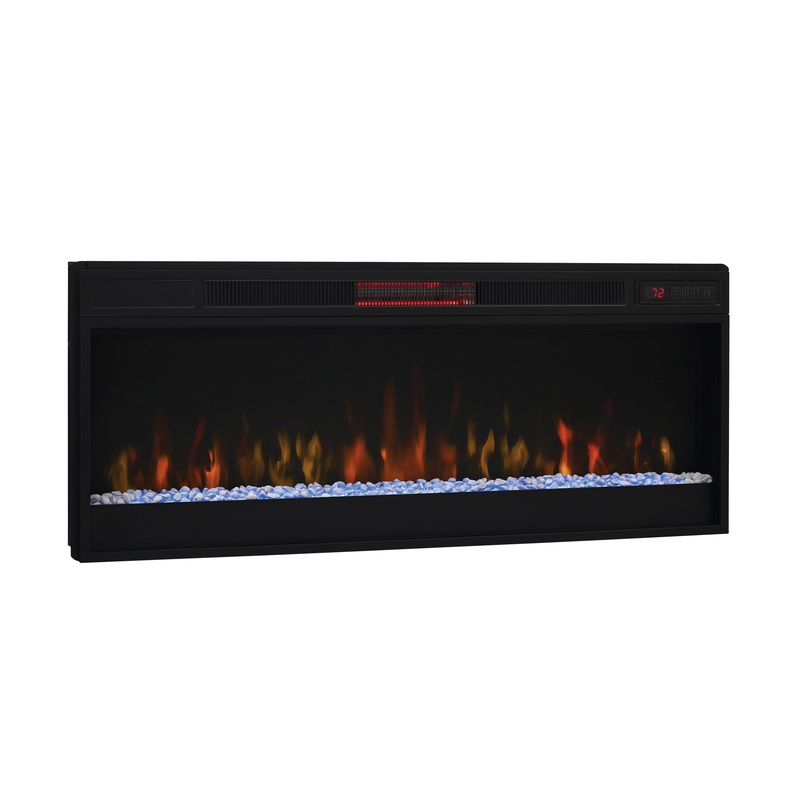 This 42" infrared quartz fireplace insert offers the latest in technology through customizable features and safety. It is efficient and powerful, providing supplemental zone heating for up to 1,000 sq. ft. It uses infrared heat which produces soft, moist heat without reducing oxygen or humidity. It’s easy to use since it doesn’t require ventilation, gas lines or firewood. This fireplace features Spectrafire flame effect technology which provides the most realistic flames effects available. Spectrafire offers 3 blue and 3 amber flame effect brightness settings that can be set to get the look of modern gas fire or of a cozy wood burning fire. These flame effects can be used with or without heat for year-round ambiance. You can conveniently control these and the other functions from the comfort of your favorite chair with the included remote control. Essential safety features will put you at ease when using this electric fireplace. It plugs into any standard outlet and the glass front stays cool to the touch for worry-free use around kids and pets. It’s equipped with Safer Plug™ fire prevention technology which monitors the temperature of the plug and will turn off the insert if overheating is detected. It features convenient programmable automatic timed shut off and adjustable thermostat. Allowing you complete command over a multitude of options while providing quality heat, this electric fireplace offers an unsurpassed experience. Insert can be used in conjunction with ClassicFlame mantels, TV stands with insert capacity, or flush-mount trim kits (all sold separately).